Does job shadowing count as meaningful medical experience? I was planning on job shadowing a new specialty every month? Is that a smart move? Since there are only 15 spots for extracurriculars on the medical school application, job shadowing would take up only one of them, and I would have to cram all my experiences into one description box...sorry, I just realized how I am over-thinking this one question. Should I job shadow a couple of doctors over a long period of time, or many doctors, each in a short period of time to show my range of specialties I have been exposed to? Meaningful medical experience are the activities that show you have an understanding of the medical profession. These can be paid or unpaid medical experiences including shadowing physicians, working at a health care center, etc. Specifically, for your question I would not shadow in all of the specialties each month. 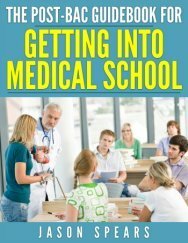 Medical schools are looking for applicants who have depth and not breath of experiences. 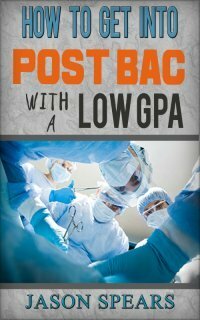 They would rather you stick with a few extracurricular activities and take on leadership roles than to "pad" your medical school application with as many experiences as possible. for each activity. As you can see you will be extremely limited in what you can put down on your application, you will have to be concise. But for 3 activities that are most meaningful/significant to you, you'll have the opportunity to expand the character count to approximately 1500 characters. Like activities are also listed together. This means you'd list all of your shadowing activities as one extracurricular activity on your application. This goes for any other activities that are similar in nature i.e. the applicant who has published several research papers will not put each publication as its own activity on their medical school application. Instead, they will all be lumped together on your medical school application. When it comes to shadowing it is good to get the experience but I would not go so far as to think you need the exposure for a number of the specialties. Shadowing is just to get you familiar with the profession of medicine. Once in medical school you will get to become more familiar with the specialties via your clinical rotations/clerkships. So do not feel as though you need to learn about the specialties just yet...that is what medical school is for. Your priority should be to be as well rounded as possible as a premedical student, following your personal interests, taking on leadership roles in your extracurricular activities and you will do well on your application to medical school. Thanks so much for the awesome answer. Just to make sure, since they are similar experiences, would volunteering at two separate hospitals and a nursing home for a number of years be put together under one spot? Typically experiences that are similar in nature such as what you mentioned above would be listed as one activity on your medical school application unless the duties/experience was dramatically different.